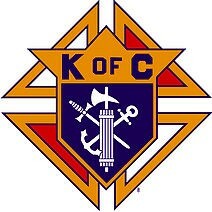 The Knights of Columbus is the world’s largest Catholic fraternal service organization. Founded by the Venerable Father Michael J. McGivney in New Haven, Connecticut, in 1882, it was named in honor of the navigator Christopher Columbus. Originally serving as a mutual benefit society to low-income immigrant Catholics, it developed into a fraternal service organization dedicated to providing charitable services, promoting Catholic education and actively defending Catholicism in various nations. There are more than 1.8 million members in 15,000 councils, with nearly 200 councils on college campuses. Membership is limited to “practical” Catholic men aged 18 or older. Membership consists of four degrees, each exemplifying a different principle of the Order. The Order is a member of the International Alliance of Catholic Knights. Councils have been chartered in the United States (including some territories), Canada, Mexico, Guatemala, Poland, Panama, the Dominican Republic, the Philippines, Cuba, and on US military bases around the world. The Knights’ official junior organization, the Columbian Squires, has over 5,000 Circles and the Order’s patriotic arm, the Fourth Degree, has more than 2,500 Assemblies. For their support for the Church and local communities, as well as for their philanthropic efforts, Pope John Paul II referred to the order as a “strong right arm of the Church.” In 2012, the Order gave over US $167.5 million directly to charity and performed over 70 million man-hours of voluntary service, with over 413,000 pints of blood donated in 2010. The Order’s insurance program has more than $90 billion of life insurance policies in force, backed up by $19.8 billion in assets, and holds the highest ratings by A.M. Best and the Insurance Marketplace Standards Association. Within the United States on the national and state level, the Order is active in the political arena lobbying for laws and positions that uphold the Catholic Church’s positions on public policy and social issues.